As discussed in my previous post, I shall now discuss about the miracles of coconut oil. There are many varieties and uses of coconut oil. Apart from the regular coconut oil used to apply on hair and body, there is also edible coconut oil which is used in foods. I use edible coconut oil in my recipes and I also make sure to add coconut to my cooking twice a week. Coconut and coconut oil act as natural lubricants on our body and prevent our skin from getting dehydrated. I also apply coconut oil to my kids's bodies before and after shower irrespective of all seasons. This keeps their skin smooth and prevents dryness. One interesting fact about India is that the people of Kerala use and include coconut in their day to day lives so much that you can notice their hair being very thick, black, curly and perfect in shape. Below are some of the beauty tips using coconut oil. Also I am aware of the fact that there are many benefits of other oils like amla, avocado, jojobo, almond, shea butter etc but coconut oil is the best for Indian climate. You can use other oils as well but once you start using coconut oil you will definitely start to see the results. So let's get started!! Mix one spoon of coconut oil with a pinch of sugar and rub on your face, neck, nails, cuticles. The edges of the sugar exfoliate the dead cells while the coconut oil prevents your skin from getting burned or red due to exfoliating. Allow this mixture to sit on your body for about 15-20 min and wash away. You will notice that your skin will remain smooth after washing it with water even though you have scrubbed your skin with sugar before. It is due to the greasy nature of coconut oil. In winter season skin tends to get dried out too soon and as a result we see whitish layer on our hands, feet, ankles, fingers etc. The best remedy for this is coconut oil. Coconut oil becomes thick and freezes in winter season and one might find it difficult to use this during winter. Just leave your oil bottle for 4-5 min in a hot water bowl and it will come back to its normal state. Many people might not be able to apply coconut oil directly on their skin as they need to go out and cannot make their clothes stick on their skin due to this oil. If you are one among those, then just add 3-4 drops of coconut oil in your bathing water and watch the magic! The oil does not stick to your body anymore but still keeps your body hydrated. But be careful while adding coconut oil to your bath as it will make the floor slippery. So make sure you are not adding beyond 5 drops. I pour coconut oil into a bowl and heat it for 1-2 min. I then take the oil in my palms, rub it in between my palms till I can feel the heat of my body and then apply it to my scalp. I follow this to my kids as well and I am very much happy with the results. My method not only enriches the hair but also ensures we get a good night's sleep by relieving the stress. When you apply oil in this method, you can feel your eyes and head becoming really cool. This is from my personal experience which has been tried and tested! So go ahead and give it a try!! So that's it for today my dears!! In my next post I shall continue about coconut milk and how it helps in hair growth. Until then keep reading my posts, follow my blog and also comment!! Today I am gonna share with you one of the tips that my grand ma had shared with me for beautiful hair and skin! Grand moms are always the best for they give us the most quint essential tips in every aspect of life. One thing am very much proud of my family is our thick long hair. In fact even my kids have very black and thick hair. Throughout both my pregnancies I was losing and gaining hair on and off but was unable to maintain and retain it. It was my grand-mom who first noticed my hair loss and it becoming weak and gave me a handful of tips to regain my lost lustrous and voluptuous hair. And believe it or not, she suggested only ONE ingredient which worked wonders for me. It's none other than coconut. I then realized what I had forgotten all these years and was instead running behind other imported products. Coconut is and was our basic product which has health and beauty enhancing properties. Each and every part of coconut is proven useful by our ancestors. Coconut oil, milk and its water has time and again proven to have invaluable benefits on our body, skin and hair. 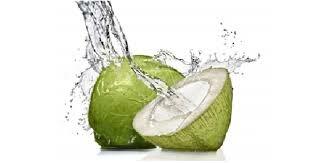 In this first part I shall share about the benefits of coconut water and how to apply it. For beautiful face, take one glass of tender coconut water and add 2-3 strands of saffron and some rose petals. Leave this mixture for 15 min. Apply this to face and neck with cotton balls. You will realize instant results as coconut water keeps your face refreshed and smooth while saffron adds extra glow. Rose petals enhance the tone of your face. Use this solution for thrice a week to get best results. Also note that you cannot refrigerate this as tender coconut water tends to get spoiled. For shiny and rehydrated nails, rub the tips and cuticles of your nails with cotton dipped in coconut water.This will keep your nails from getting cracked and gives oxygen. You can also use this on your ankles to treat cracks. You can also remove make up with coconut water and believe me, it removes your entire make up without any hassle! So that's it for today folks. Do try these out and let me know how it went. Also don't forget to follow my blog for more updates and posts! Meet you in next post. How you been? I wasn't active for d past 4 years as I was busy parenting my lil ones :) Now that they are a bit grown up I am once again back to blogging ! Yippeeeeeeeeee !! These 4 years I have been experimenting with a lot of natural ingredients for face, body, arms and legs and guess what! I was able to come with my own legit tips and techniques for glowing and healthy skin with the help of my kitchen ingredients. So without wasting much time let us jump straight to the topic. 2. 1/4th tb spoon of finely grounded cinnamon powder. Make sure it is not coarse as it might give your face slight rashes. 3. 2-3 tb spoons honey. Mix all these into a smooth paste and apply it in circular motions evenly on your face and neck. Let it sit for 10-15 min. You will experience a light burning sensation on your face which is totally fine. Wash your face with luke warm water after 15 min. The baking soda present in the mixture removes dead skin cells from your face while honey keeps your face smooth and radiant. 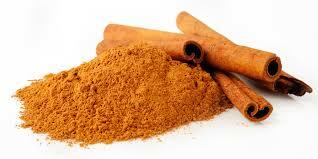 As for cinnamon, it acts as a refreshing and cleansing agent since it is combined with honey and baking soda. It also acts deeply on your skin by cleaning the pores and closing them temporarily. It also removes acne and blemishes from your skin and protects your skin from further pimples. People having heavy pimples can also use this.Use this pack thrice a week to get best results. So that's it for today <3 Do try this and let me know how it went. Feel free to drop your comments/suggestions below and do follow my blog for further home made tips. You sure will love the results. Hope you people are doing great. It's spring time in some countries, while it's summer time in India. I hate summer, but I prefer summer to winter. The reason is quite apparent- your skin does not get chappy and dried up. But one thing to worry in summer is the sweat and its aftermath left on our bodies. The sweat leaves a trace on our body. It either runs down our necks or gets stagnated in underarms leaving a bad and a foul odor. Even though many countries experience spring now, this particular post is useful for each and every one as the tips I post deals with the common underarms problems and how to over come it. And the cost? Completely Economical! So let's get started. To half cup of besan flour, mix two drops lemon n a few drops of glycerin. Leave it aside for 15 min. Mix all these to a smooth paste. The proportion of besan flour n glycerin is more important as the former has the tendency to get hard immediately. So take care that the flour is mixed well with the other two ingredients. One your paste is well set, take a light mixture of it n massage it gently on your underarms in circular and anti circular motions. Do not scrub as the skin on underarms is very sensitive. Massage gently for nearly 5 to 6 min and repeat the same on the other side too. Continue to do this way thrice a week preferably before your bath. Since besan flour becomes sticky one its gets contacted with any kind of liquid, it is recommended that you follow this procedure after waxing your underarms. This simple tip will give you natural and smooth underarms and removes the foul odour without any side effects!! In case you are sensitive to besan flour, you can skip it. Just add glycerin and lemon drops. Lemon drops should not be added in excess because of its citric nature. 2-3drops are more than suffice. Lemon has the property to remove tan but even then it should not be added in excess. You can substitute glycerin with rose water. But rose water does not work well on hard water. I choose glycerin to rose water as we do not get soft water here. You can also add milk to besan flour. But when you add milk, do not add lemon drops to the mixture as milk will get curled. In case you prefer milk, just mix two spoons of milk with one spoon of glycerin.Milk alone will do the trick but it consumes time. If you are applying this mixture after bath, rub off the mixture from your underarms with a damp or moist cloth. How are you all? Hope you all are enjoying my posts. I have not written any blogs since Feb 2015 as I was busy understanding mother hood and bam! Guess what!! I had become a mom once again! Yes yu read dat rite :) I am a proud mom of 2 boys (actually 3 including my hubby). Motherhood sure brings lots of changes in your life. I am embracing each n every minute of motherhood wid luv n care. When I started in post in Feb 2015, I had a few tips to list down. But now, am having many tips to list it down here as I have tried tried tried and finally succeeded with many of my my own experiments. Ok, so lets get started! 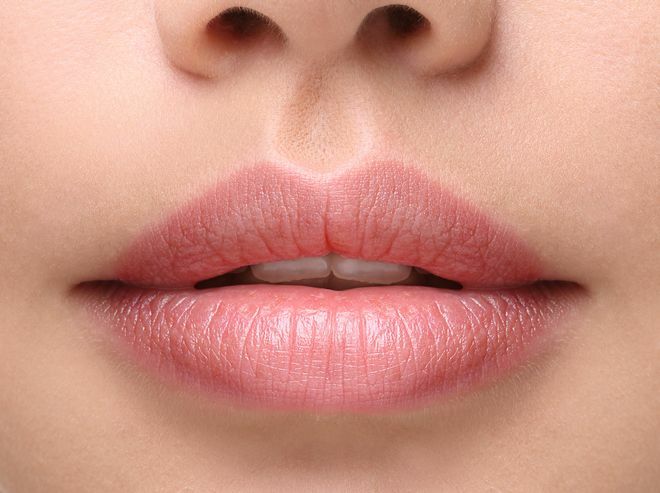 Who here does not dream of pink, smooth and glossy lips? C'mon I know am just kidding! Of course all of us need a flawless lip line wid perfect lips -smooth n glossy. As I mention in each post, home made scrubs are the perfect solution for smooth lips. Mix honey, sugar and olive oil in a small bowl. Allow it to settle down for 10-15 min. Once it is mixed well, take a tooth brush preferably with fine bristles and brush it gently on your lips. Initially brush gently and gradually scrub the mixture on your lips. See to that you do not scrub too much as lips r very sensitive. A variation to this mixture includes glycerine n rose water. Instead of adding olive oil, you can add either glycerine or rose water. Glycerine makes you lips look soft and supple whereas rose water keeps your lips fresh. But choose among these 3 depending upon your lips sensitivity. I personally do not use rose water as my lips are allergic to it. I add glycerine, honey n some rose petals and sugar, allow it to soak overnight. The next morning I make dem into a rough paste using a mortar pestle. In case you are going for rose petals, see to it that you are taking plenty of those as they add an aromatic flavour to your paste. Meet yu in next post!! How are yu ppl doin? Hope all are great and enjoying their holidays. It's summer in India and I can see tender coconuts in huge numbers on road sides. I can never compromise the goodness of tender coconuts with soft drinks n sodas. I had been completely busy with my baby that I had lost nearly 4 kilos! But I am proud to say that I have moved a step ahead in parenting and motherhood. My kid has become so naughty that my house looks like it's been affected by some tornado or tsunami! I feel exhausted at the end of the day and there he is, getting ready for another round of naughtiness. I needed some time off my regular schedule. I needed to be left alone. All I needed was just 5 minutes of time spent in calmness and tranquility. But it seemed that achieving this was almost impossible. I was completely stressed out. I badly wanted to escape from these situations. But I was unable to. It was then that I decided to fly back to my parents place. Now that I am in my parents' place, they take care of my baby, while I take care of my blog :) Yay!! So let's get started. I have lots in store for you. It's no wonder if I write 10 posts a day :) All thanks to my parents for taking care of my baby :) Today's topic is about India's NO:1 preferred drink- tender coconut water :) Tender coconut water not only aids your body in re hydration, but also keeps your skin away from acne, black marks n sun tan. So let's see how this works. 1. Mix half cup of tender coconut water to 1/4th of orange powder (preferably Fuller's earth). 2. Add a small quantity of saffron to it. Adding saffron is optional but produces glowful results when mixed with tender coconut water. 3. Add two drops of lemon and one tbsp of glycerin to the mixture. 4. Apply this mask to your face and wash it off after 20 min. Saffron maintains your skin tone, while glycerin tends to keep your skin soft and supple. Lemon removes tan while coconut water oxidizes your face and adds rich look to it. To keep your hair naturally straightened, spray pure coconut milk onto your scalp and hair for 5 min. Take a comb and brush your hair straightly removing the locks. Once you are done, wash your hair and then lightly spray the milk once again on your hair. Repeat this process each time you take head bath. The more you repeat, the longer your hair will be straight. To increase the count of amniotic fluid, mix a small quantity of saffron to one glass of pure tender coconut water. This will not only increase amniotic fluid, but will also help in oxygen supply to the baby. This post is dedicated to each and every male and female! So spread the word to near and dear ones so that they too can prepare this Homemade, Natural oil that lasts for years and does not produce any side effects. Most importantly, they do not swallow or gulp down your money. So let's grab this opportunity! Pour a few spoons of coconut oil in a pan and let it be on heat for ten minutes. 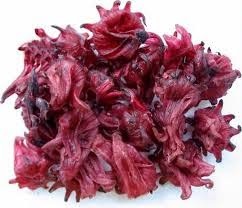 Once the oil gets heated, add the dried hibiscus flowers. You can add any variety of hibiscus flowers. But for the best results, use only the red ones as they are said to have high medicinal value when compared with other varieties. Before adding the hibiscus, removes the stigma (long stem like structure) and other parts of the flower. See to that the flowers are nicely dried for three to five days. When the flowers get heated, they start to shrink in size. Add a handful of curry leaves at this point. The curry leaves tend to fry too soon. Simmer down the temperature when you add the curry leaves. You can stop with the above steps once the curry leaves shrink and begin to release an aromatic smell. Your homemade hair oil is ready to be used. But I have gone a bit further and added two more products to this hair oil that has made it into an essential oil. To make your hair oil into an elixir, try adding these two ingredients. You will be astonished to find a great difference. 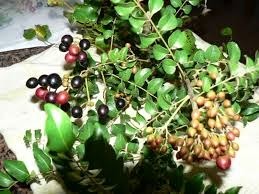 Once the boiling oil gets an aroma of curry leaves, mash some of the curry leaf seeds and add it to the boiling oil. 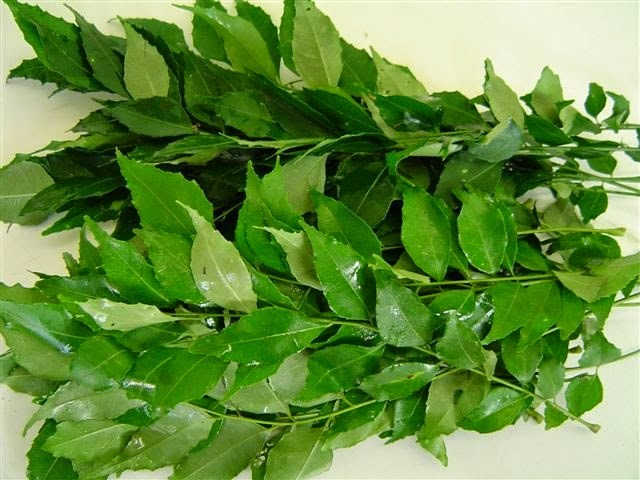 Curry leaf seeds contain more oil content and helps in hair coloration. The more you add, the better the result. I have added two whole fistful amounts of curry leaves in my oil since my hair is jet black and I want to maintain the same color. You can skip this step if your hair is red/brown. Let it boil it for 10 to 15 min. Meanwhile, stir the oil nicely and carefully so that all the ingredients come in contact with one another and kind of stick together. This helps in releasing a strong aromatic oil that contains all the flavors of the ingredients. Finally, add some coriander/ coriander powder to the oil and let it boil for another 15 min. 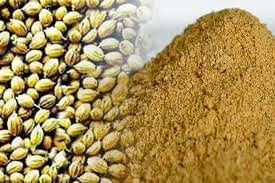 This is because coriander powder aids in preventing hair loss and also cleans your scalp from dandruff and bacteria. Since I have added coriander powder, I skipped adding neem oil. You can also add some basil leaves to it as it is a very good natural antibiotic that helps in protecting, smoothing and conditioning your hair. So your elixir is ready!! Go ahead and apply it whenever you feel like. But see to that you do not add too much of coriander powder as your oil might turn into a paste. If your oil has become a paste, use it as a conditioner.